the first half of the year 2018 has seen important political change in South Africa. Since the 15th of February, a new president is in charge of the country. Cyril Ramaphosa, former anti-apartheid activist, successful businessman and former deputy president, succeeded President Jacob Zuma, who had resigned in February. Proclaiming a “new dawn” for South Africa, Ramaphosa argues for a restoration of credibility and good governance while highlighting the country’s economic potential - which also includes fast-tracking land reform. Along these recent evolutions, KAS and its partners have continuously been engaged in promoting democracy and sustainable development. As in the past, this regular newsletter cordially invites you to take a closer look at some of our current projects, which address issues such as strengthening democratic institutions and good governance, property rights and land ownership as well as empowerment of civil society. For more information and regular updates in English and German, please visit our website at www.kas.de/southafrica and like our Facebook Page at www.facebook.com/KasSouthAfrica ! KAS in cooperation with the Pan-African Parliament (PAP), the South African Institute of International Affairs (SAIIA), the United Nations High Commissioner for Refugees (UNHCR) and the Delegation of the European Union to South Africa, hosted a forum on Europe-Africa: Challenges and Opportunities of Migration Flows. 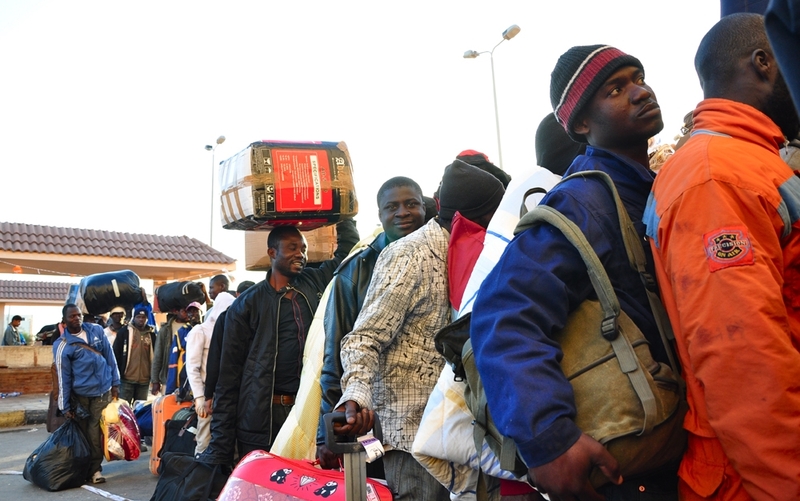 The aim was to provide a platform for informed debate on topics of (mixed) migration flows, European and African migration policies and intercontinental relations in the context of contemporary migratory movements. 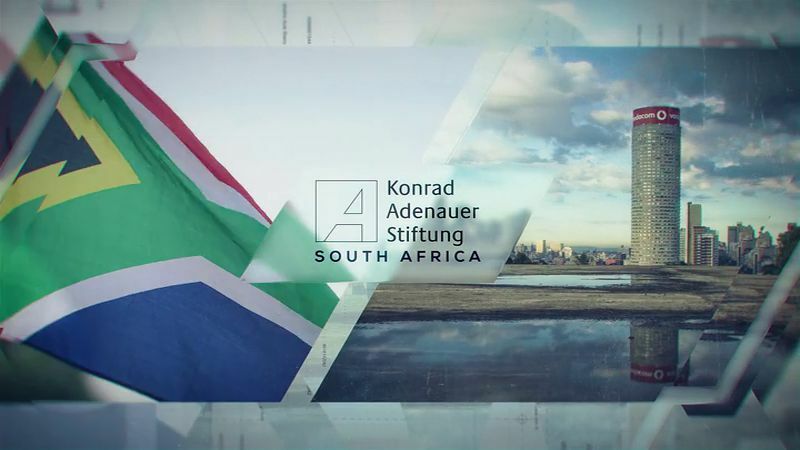 This annual conference with broad coverage in TV and online media, organised by KAS and the FW de Klerk Foundation, aimed at discussing ideas and strategies on how to defend and strengthen the South African Constitution and, further, to establish a system of governance that is characterised by integrity. 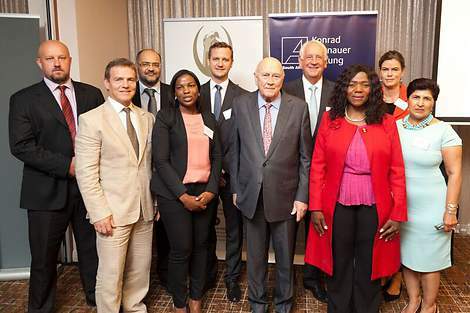 Speakers included Thuli Madonsela, FW de Klerk, Frans Cronje and KAS Resident Representative Henning Suhr. This event was held in cooperation with the Office of the Anglican Archbishop Dr. Thabo Makgoba and the Ecumenical Forum South Africa (EFSA). The seminar focused on market economy, social justice and the mediating role of the church. The discussion welcomed many prominent guests, among them the German Cardinal Reinhard Marx, the South African Anglican Archbishop Dr. Thabo Makgoba and Barend Petersen (Chair of De Beers Mining). In commemoration of International Mother Language Day on February 21, KAS together with the CRL Rights Commission hosted a conference titled "The importance of multilingualism in promoting and deepening social cohesion and nation building in a democratic South Africa". The aim of the event was to promote multilingualism as a tool for nation building and social cohesion. The focus of this event was the power relations and partnerships between Southern African and German churches and civil society organisations. Current challenges for post-Apartheid South Africa as well as for Germany were discussed. KAS supported this forum, which was jointly organised by the South African Council of Churches (SACC), the Evangelische Kirche Deutschland (EKD), the Desmond Tutu Centre, the Ecumenical Foundation of Southern Africa Institute (EFSA), the Centre for Christian Spirituality and Kairos Southern Africa. The EWoH2 sub-regional conference aimed at facilitating the exchange of knowledge, lessons and good practices among EWoH2 collaborating country partners of KAS on one hand, and experts in land governance from Malawi, Namibia and Zimbabwe, on the other. Read more about the Special Initiative: One World - No Hunger and the background on our Project in Malawi﻿. 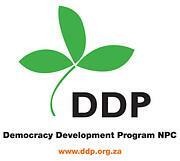 The DDP Public Forum unpacked the issue of land ownership and redistribution in the country. Among others, prominent political analyst Aubrey Matshiqi shared his views on the issue. The Dullah Omar Institute (DOI) in cooperation with KAS hosted a roundtable discussion on the topic “Human Rights and Governance Implications of the Water Crisis in the City of Cape Town”. Distinguished panelists from academia and civil society attended the discussion. The goal was to provide a platform for fruitful exchange about the impacts of the drought and current crisis in Cape Town and the Western Cape and challenges it poses regarding cooperative governance. More information can be found in the KAS Paper 1 and Part 2. In cooperation with Monk Media, the Durban Development Program (DDP) organised a Social Media traininig for representatives of different political parties in order to build their capacities on the use and benefits of Social Media for political campaigning. In cooperation with the Western Cape Branch of the South African Institute of International Affairs (SAIIA), KAS organised an event on the topic of mixed-migration flows to South Africa and possible options of economic as well as social integration. KAS in cooperation with the South African Council of Churches in Gauteng hosted a dialogue forum with the objective to identify strategies on how to eradicate xenophobia, promote social cohesion and strengthen conflict resolution skills of community leaders and other important stakeholders. Public Forum: Our partner Democracy Development Program (DDP), together with internationally acclaimed political analyst Aubrey Matshiqi and attending participants, discussed challenges for the new president Cyril Ramaphosa as well as their impact on South Africans. Jointly organised by KAS, the University of Johannesburg (UJ) and Africans for Peace, this student discussion dealt with the topics of populism, socialism and expropriation. Two young political activists from Venezuela presented the Venezuelan case, drawing parallels to the current debates in South Africa. Together with HDI for Good, KAS encourages the youths, especially first time voters, to actively participate in the democratic process by registering to vote in order to qualify to vote in the 2019 National Elections. Events were conducted in a total of 21 schools across Gauteng. As in the previous years, the welcoming breakfast was taken as an opportunity to introduce the new scholars to the work and objectives of KAS. In cooperation with the South African Institute of International Affairs (SAIIA), KAS offers scholarships to talented and motivated young persons. A total of four new scholars joined the programme this year. The community outreach with 450 participants was aimed at boosting the knowledge in rural communities in Zomba about women’s rights to access, own, use and control land, and enhance the women’s capacity to protect and claim these rights. Read more about the Special Initiative: One World - No Hunger and the background on our Project in Malawi﻿. 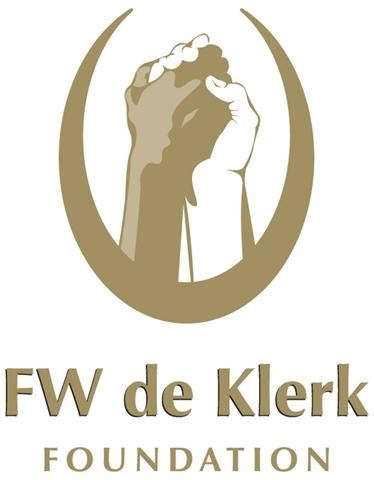 The conference will be jointly hosted by the FW de Klerk Foundation and KAS. Property rights play a central role in all successful economies and democracies. The conference will therefore explore the three areas in which property rights should and could be expanded in South Africa. Our partner Democracy Development Program (DDP) will host this symposium, which comprises of a panel of distinguished international speakers talking about their experiences of political coalitions in Kenya, Zambia, Zimbabwe and Germany. The dialogue is geared towards understanding the future possibilities of democracy in Africa, now that multiparty elections have become more common across the continent. The event is co-organised by the Brenthurst Foundation and KAS. In this future scenario discussion, the impact of future trends such as electric vehicles on the Southern African Development Community (SADC) will be analysed. This year's dialogue jointly hosted by KAS and the Centre for Constitutional Rights (CFCR) will provide learners from various schools with an opportunity to engage on the pros and cons of social media with media expert Karyn Maughan. This workshop series is co-organised by the Head Office of the Public Protector in Pretoria and KAS. The design and facilitation of the training is done by the African Procurement Law Unit (University of Stellenbosch). The aim of the workshop organised by KAS and the North-West University is to identify critical challenges for the internal and administrative design of medium-sized local municipalities. This seminar with the South African Institute for Advanced Constitutional, Public, Human Rights and International Law (SAIFAC), addresses especially the prospective authors of the Constitutional Court Review Journal (CCR). The annual event at Wits University informs learners and students which career opportunities a degree in the Humanities can open up. Students have the opportunity to meet potential employers and receive information about internships and scholarships. This conference on "Co-existence of traditional and local governance structures in a democratic dispensation: Challenges and successes" is co-organised by KAS and North-West University. The Democracy Development Program (DDP) in cooperation with KAS is holding a conference on the topic of social cohesion. With our new Imagefilm, we quite literally offer you the opportunity to take a closer look at our institution and our activities in South Africa. Since the start of the year 2018, we are running our own Facebook page, which provides daily red-hot news about our work and events in South Africa. We regularly share pictures and videos of recent events and offer exciting publications on numerous political, social and economics topics! How to get access? LIKE our Facebook Page www.facebook.com/KasSouthAfrica and join the community! Together we stand for freedom, justice and solidarity! In this publication series, the Centre for Constitutional Rights (CFCR) regularly assesses the degree to which constitutionally guaranteed Human Rights have been realised by the South African government, state organs and Chapter 9 Institutions. 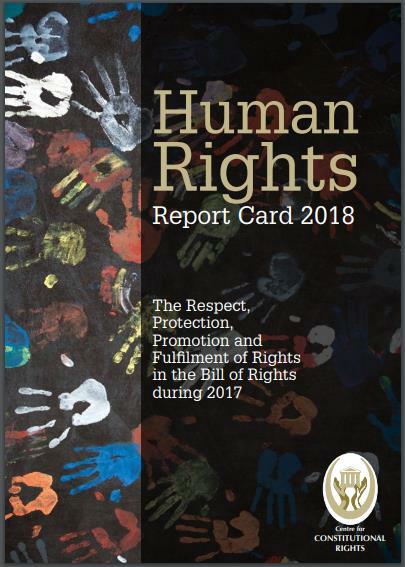 The Human Rights Report Card serves as an important benchmark for the public as well as for policy makers. The 2018 version was launched in Cape Town on 23 February 2018. You are receiving this email via the mailing list of Konrad-Adenauer-Stiftung e.V. South Africa. In case you want to unsubscribe, please click here.